In the Memory of Sir Jacob Henry Preston Bart. Born Jan. 25. 1812. Died Oct23. 1891. 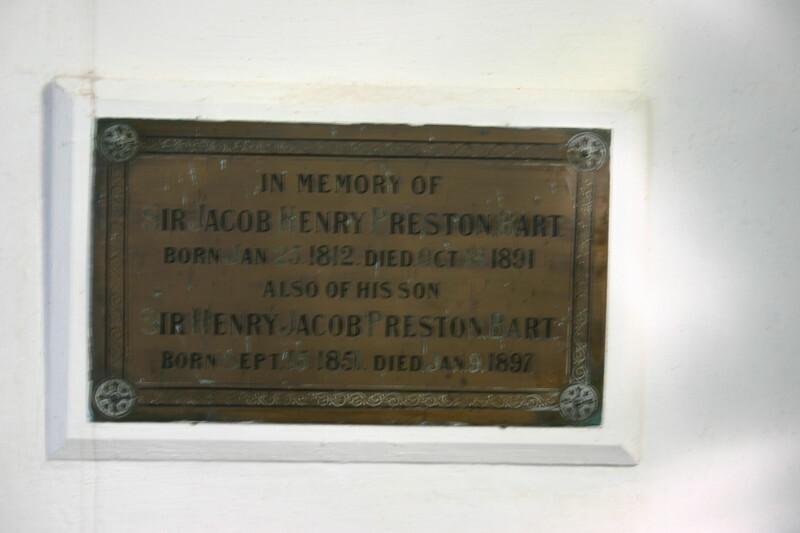 Also of his Son Sir Henry Jacob Preston Bart. Born Sept. 15. 1851. Died Jan. 9. 1897.